I qualified as a Chartered Physiotherapist and started my first job at the Royal Gwent Hospital, Newport, Monmouthshire on JULY 1st 1948….The day that the National Health Service formally began! During the next ten years I continued working; married; had four children; moved house several times, ending up in STUDLEY, where we still live. First of all I wrote to Sylvia Dakin, who was the secretary of the fairly newly established ‘Organisation of Chartered Physiotherapists in Private Practice’ (OCPPP), to ask for her help with any rules pertaining to setting up a Private Practice in my own home. She was great, and over the years became a very good friend. Luckily, we had bought quite a big house in Studley. One downstairs room was fairly large, and although it had been designated as a playroom for the family, I decided it would be ideal as a treatment room! It was re-decorated, furnished with a plinth, an infra-red lamp, and a small combined galvanic/faradic unit…. I was ready to start! So I thought! So I thought a more personal approach may help, and telephoned every practice, asking for an appointment to speak with the GP. Some agreed…… remember, in the 1960s NO physiotherapy could officially be given, unless it was prescribed by a Doctor; even patients in hospital had to have treatment prescribed. Next, I approached as many Sports Clubs as possible: Football, Rugby, Tennis, Athletics, and Gymnastics (players did not need a GP referral for treatment, if their club agreed to it), so I’m glad to say that I started having some patients to treat, and my Practice began! Requests for treatments in the evenings and particularly at weekends were usual (local sports people were amateurs, so worked in the daytime, all week). This, however, fitted in well with the family, and the children learned to be quiet when I was treating, and would also entertain the waiting patients with their piano practice! As time went on, the sportsmen and women asked if I would treat other members of their families. I offered to speak to as many local groups and societies as I could find, about Physiotherapy, often giving a talk and demonstration about back care and posture. I found my way to many Village Halls, down windy country lanes in remote parts of Worcestershire and Warwickshire, in the dark….and there was no Sat. Nav. then! This also encouraged some to come to Studley for treatment, and word of mouth spread. Every time a new patient came, I wrote to the GP describing all signs and symptoms and treatment planned, and saying that, unless I heard negatively from the GP, I would give the patient a course of treatment. Time went on and the Practice grew. I joined the Midlands group of Private Physiotherapists and a very enthusiastic hard working group they were. We attended many national training courses. In the late 1960s Manipulation by physiotherapists was becoming recognised, rather than only being given by doctors. Maitland’s methods became very popular, and a high quality of post-graduate training was required. Robin McKenzie, a New Zealand physiotherapist created a very simple but very effective “Treat yourself exercise regime” that was excellent for Lumbar Spine pain, which he later developed to include Cervical, Thoracic and Peripheral exercise. With three other physiotherapists we developed “The McKenzie Institute” which is now incorporated into the World recognised Institute. But private physiotherapy was not only for treating musculoskeletal conditions. Patients with chest conditions also needed help and advice with breathing exercise and activities. Post-operative advice was often needed; ante and postnatal care at convenient times was offered; and stroke patients who had been discharged by the NHS were given continuing rehabilitation, with often significant and exciting results. The Practice went on growing and we had added an extension to the house for my Mother to come and live with us. She was a great help to me as the Practice got busier….becoming a sometime receptionist, maker of meals, carer of children! (What would we do without our mothers?!). 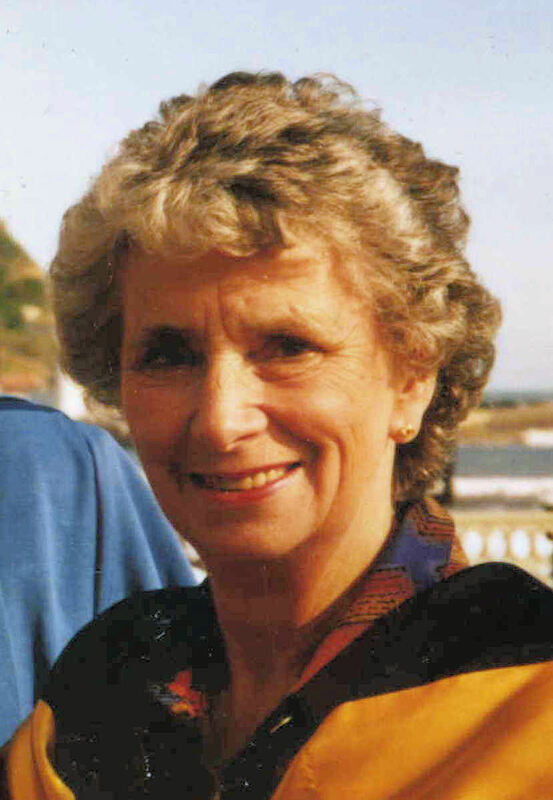 When she died, we moved the practice into that part of the house, which gave us four treatment rooms, a waiting room, an office and a staff room, which we needed as we added more physiotherapists to our team. We also decided that the Practice needed its own name, instead of just ‘Margaret John’s’! STUDLEY PHYSIOTHERAPY CENTRE was chosen, and became even more recognisable. As the Practice grew, I seemed to do more within the national Private Practitioners Organisation (now ‘Physio First’), becoming Chairman and later being elected President. I was given the honour of representing Private Practitioners at many International Conferences and was on the committee organising the “100th Anniversary” celebrations of the Chartered Society of Physiotherapy. I was able to undertake these national and international responsibilities because our great team at SPC diligently continued to work hard and effectively….helping the many patients who came to seek treatment to become well again and return quickly to normal activities. We have had many physiotherapists working at SPC over the years. They have come, they have stayed, and some have moved on to their own Practices, having gained experience in ‘how to run a proper Private Practice’ in fact, an amazing Private Practice!! In 2006 I decided to retire from active Physiotherapy and the Practice was moved out of Austrey House to North Moons Moat, Redditch (just 5 minutes away from Studley really!). The Clinic is now in a purpose built modern building. All on the ground floor, very bright and cheerful. The staff continue to be great and the treatment is, as ever, top quality. I have had a wonderful career in Physiotherapy, and have been lucky enough to enjoy all of the years I have spent with Studley Physiotherapy Centre …….it has been my life. Working with my daughter Rosemary and all our colleagues, being given the support of a dear husband and the rest of the family, being able to have helped so many patients over the past 50 years, has been a joy. Do keep coming for treatment, or deciding that you would like to come and work with us. You will always be made welcome.